The Cyclo-ssage Massage Therapy System will alleviate the secondary Symptoms associated with stress, tension, insomnia and migraine. 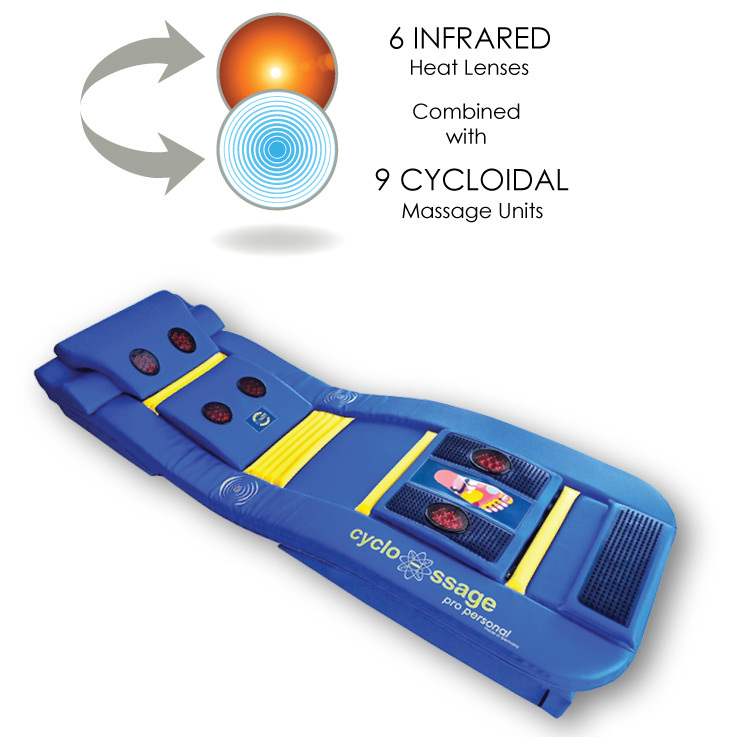 Regular use of the Cyclo-ssage Massage Therapy System induces a calm and comforting state by using a combination of cycloidal massage therapy and soothing infrared heat. 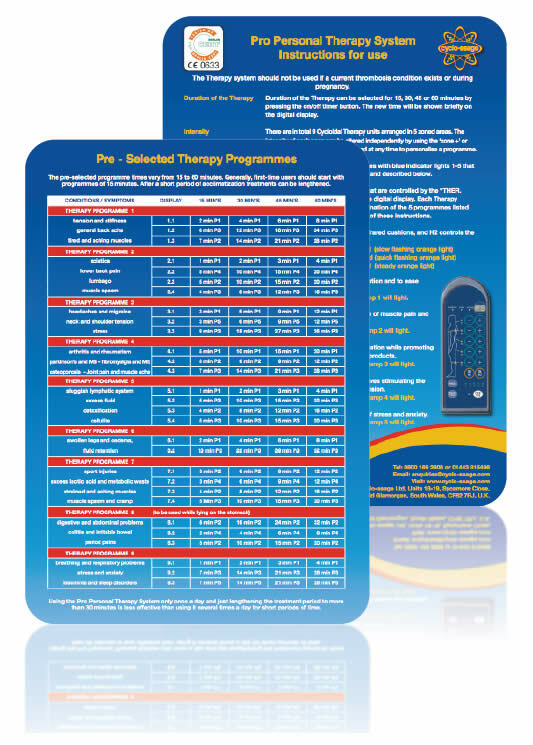 Lie down and simply select your favorite medical programme and the Cyclo-ssage Massage Therapy System will ease stiff and aching muscles, relieve anxiety and tension and increase energy levels. The Cyclo-ssage Massage Therapy System will also help to relax the entire body from head to toe in just 15 minutes in a simple, comfortable and convenient method. This often results in improved sleep patterns enabling you to cope much better with any stress, anxiety, tension and insomnia.